A Ripple Kid is a kid who has identified an issue and has taken action to resolve it! As kids are engaged in finding a solution to an issue, they become empowered and vested in the outcome. Their peers see what they’ve done, are inspired to think about how they too can make a difference, and the ripple effect begins! 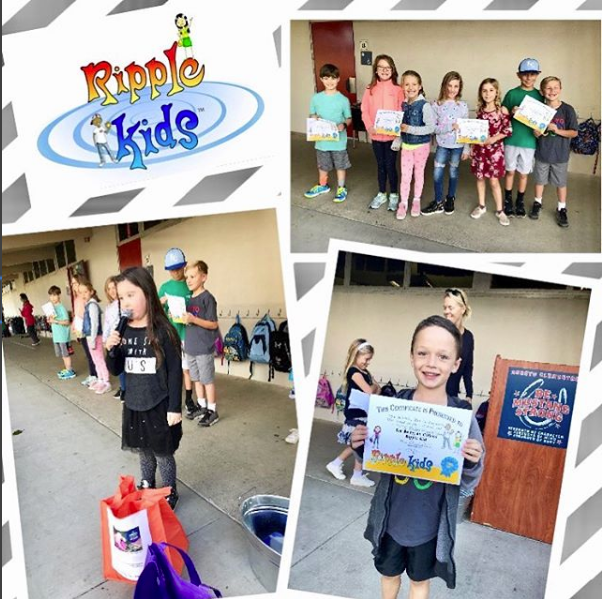 Led by parent, Katie Blevins, Ripple Kids at Arroyo is always ongoing throughout the year based on students' interests and passions in becoming responsible, active community leaders and global citizens! We are so proud of our Ripple Kids for their initiative and sense of giving. Visit the official Ripple Kids website HERE.